Sir David Manning, GCMG, KCVO, is the former British Ambassador to Israel from 1995-98 and to the United States from 2003-07. He also serves as Senior Adviser of the Royal Institute of International Affairs (Chatham House). In 1972 he joined the Foreign and Commonwealth Office, and served in Warsaw, New Delhi, Paris and Moscow. From 1994 to 1995 he was Head of Policy Planning; from 1995 to 1998 Ambassador to Israel; and from 1998 to 2000 he was Deputy Under Secretary of State for Defence and Intelligence and a member of the Foreign Office Board. Sir David was the UK Permanent Representative at NATO (Brussels) from 2000 to 2001 before returning to London as Foreign Policy Adviser to the Prime Minister and Head of the Defense and Overseas Secretariat (2001-2003). 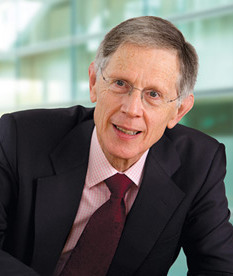 Sir David is a Non-Executive Director the BG Group and Lockheed Martin (UK). He is a nominated member of the Council of Lloyds of London, and serves as a director of Gatehouse Advisory Partners. He is a senior advisor to TRHs the Duke and Duchess of Cambridge and HRH Prince Henry of Wales. He is Chair of IDEAS at the London School of Economics, and a Patron of Afghan Connection and of World Wide Volunteering. "Sir David Manning's explores global foreign policy issues, and shares his outlook on the future. After numerous years as an advisor, Manning offers his well-informed opinion on policy and international affairs. "